Here are five fairs and festivals that will allow you to experience the state of Oregon in a real and authentic way. The Oregon County Fair is the most wonderfully bizarre event I have ever attended. This annual three day fair is held just outside Veneta, a smallish community on the edge of Eugene. The event is a collection of entertainment, culture, food, art, and literary merit. Twenty two stages and performance areas are listed on this year’s website, not accounting for parades and impromptu theatrics and vaudevillian outbursts from participants and performers. We attended for just one afternoon, not nearly enough time to take everything in; many people camp at nearby public and private campgrounds for the entire weekend. Worth mentioning is the potential PG-13 nature of this event; our kids did fine, but we did see a few ill placed fox tails covering people’s behinds. The earliest credible UFO’s photo was taken in McMinnville, Oregon in 1950. 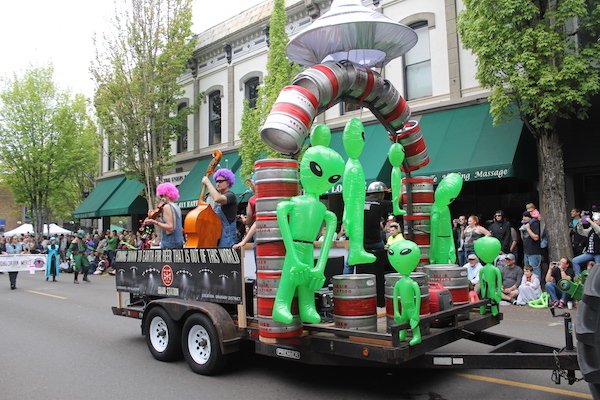 For the past seventeen years, the McMenamins Hotel Oregon has been alien headquarters for the town’s annual UFO festival. The event runs for four days in may, but the event culminates around the Saturday afternoon alien parade. This is one fun event helping keep Oregon wierd! 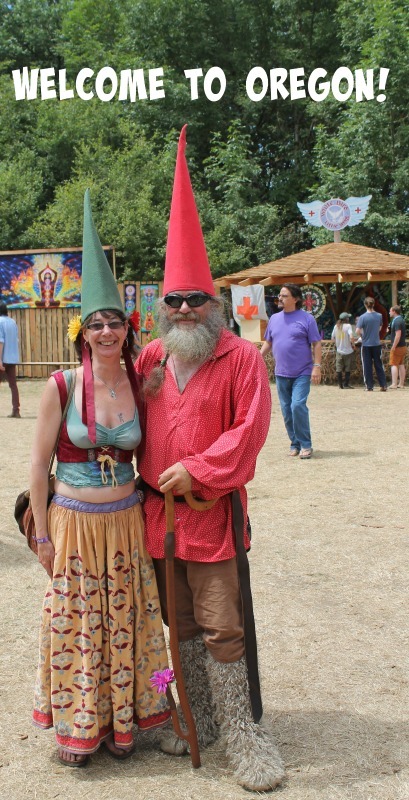 Read more about our out-of-this-world experience at last years McMinnville Alien Festival in this story. If you are a kid of the 1980s, chances are you played the Oregon Trail® computer game at school. 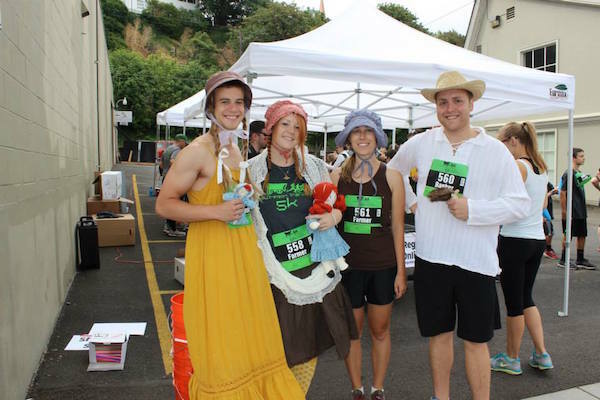 Embracing its heritage as the end of the real-world Oregon Trail, the folks at Downtown Oregon City created an interactive and 5K fun run throughout the downtown area. We participated in last year’s inaugural race; each participant was assigned a role from the computer game (we had farmers, bankers, and a carpenter), chose our pace (steady, grueling, or strenuous), and our food ration (filling, meager, and bare bones). Key decision points were staged along the race course. Do you hunt for food, wait out the storm, consult the locals, or ford the river. Participants receive their final results after crossing the finish line? We only had one person die of dysentery! This family friendly event (1) gives you a reason to wear your best bonnet and (2) is part of a larger First City Celebration with food, events, and music. Another only-in-Oregon event is Stand by Me Day in Brownsville, Oregon, a small community located about halfway between Eugene and Albany. 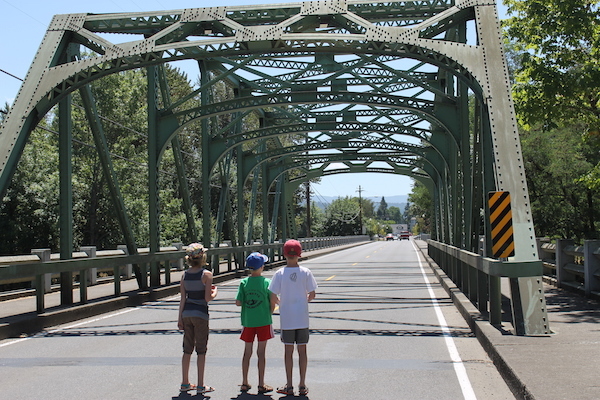 Scenes from the movie “Stand by Me” were filmed in Brownsville (or Castle Rock as it was called in the movie) in 1986, including the iconic truss bridge crossing over the Calapooia River. This year’s event will celebrate the movie’s 30th anniversary, something we missed last year as the town of Astoria hosted celebrity guests from the movie “Goonies.” Goonies Day goes down every year on June 7 (read more here). Attending a balloon launch at sunrise was on my bucket list for a long time, and I finally crossed it off at last year’s Northwest Art & Air Festival in Albany. 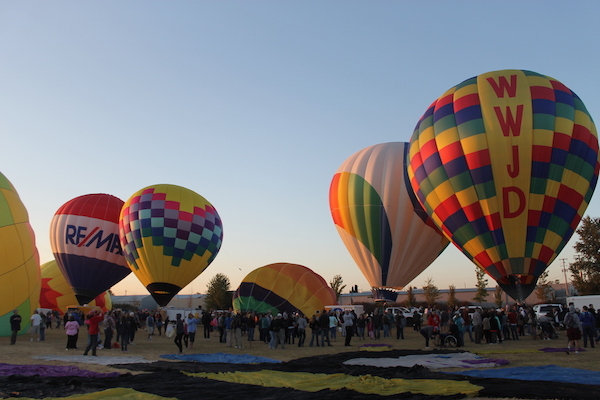 The three-day annual event features morning balloon launches and nighttime glows as well as other events and activities you might expect an annual community festival: art vendors, car shows, food stalls, entertainment, and a wine and micro brew beer garden. Young Eagle Flights and biplane, balloon, and helicopter rides run out of the Albany Municipal Airport located directly across from Timber-Linn Memorial Park. I’ll add more ideas as we continue exploring the state. OR if you have a suggestions for us, leave a comment below. Bookmark this story or Pin it for later! Someday you’ll have to get down to Ashland for the 4th of July parade. It’s an odd mixture of patriotism and protest as only hippie Oregon can do it! A is for America and Anarchy! 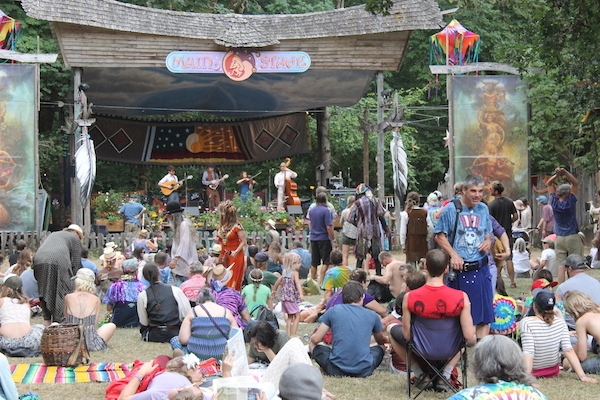 Please add Fairy World to your Oregon festival scene. Wonderful group of adults and children at play.